Parvo is virus that affects dogs and is highly contagious. The medical term for Parvo is Canine parvovirus type 2. This virus is said to have originated in cats and speculation is that the virus known as feline panleukopenia transformed into Canine parvovirus typ for Dogs, 137 gramse 2. This virus spreads when one dog comes into direct or even indirect contact with the feces of the dog that has this virus. A vaccine gives puppies and dogs a great advantage as this infection can be prevented through vaccination. In cases where dogs are left untreated mortality rate is approximately 91%. As a dog lover, you should understand that your dog could potentially fall ill to a variety of different conditions. Although some of these conditions are mild, others can be dangerous and life threatening. The Parvovirus falls within the latter category. If your dog contracts Parvo, it is absolutely essential to take action immediately. Below, you will learn more about this condition and potential treatment options. The only genuine prevention for parvovirus is the 5—in1 (distemper, hepatitis, parvovirus, leptospirosis, and parainfluenza) vaccine. It is important to have your puppy vaccinated appropriately and be sure to keep their vaccination record up-to-date. The first part of the vaccine should be administered between the ages of 6-8 weeks, with a follow up booster to be administered between 16-20 weeks of age. If you notice that your puppy is beginning to exhibit the signs of the parvovirus, it is vital that you take him to the veterinarian immediately. Your puppy will need to undergo several diagnostic tests, in order to determine the genuine diagnosis. A stool sample will be taken, which is part of the ELISA (enzyme linked immunosorbant assay) test. This test takes about 15 minutes to get the results, but a follow up blood test may also be needed, because the ELISA test is not 100% sensitive. Since you know your dog better than anyone else, you should be able to identify a problem immediately, by being aware of a change in behavior. If you notice a major change in your dog, you should take note immediately. Although this might not directly point to parvo, it could help you identify another complication. Below, you will find some of the most common signs and symptoms of the Parvovirus. If you notice any of these signs and symptoms, you should act immediately. Remember that constant diarrhea and vomiting can lead to extreme dehydration, which could be life threatening. Therefore, you should seek out medical assistance immediately. Vomiting and diarrhea result in dehydration and other infections. Due to dehydration the electrolyte balance within a dog’s body gets affected. Since intestinal lining is greatly affected protein and blood make their way into the intestines and this causes loss of protein, blood and anemia. Due to this endotoxins make their way into the bloodstream and then wreak havoc by causing endotoxemia. This infection is such that it produces a distinct odor especially in later stages. White blood cell count falls drastically which causes even more weakness. All these factors may result in shock and eventual death. Home remedies for parvo work amazingly and display great results in majority of cases. When you cannot afford veterinary care or treatment for your dog you should employ these home remedies as soon as possible. Remember that a dog does not have a lot of time as the virus is steadily affecting all major systems of its body. 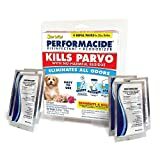 After you begin home remedies for parvo maintain a record of everything you do and if you do not see improvement within 6 hours you need to take your dog to the vet immediately. There is a limited amount of time in which you can save your dog; hence you need to act quickly and meticulously. The very first remedy for parvo is definitely to keep your dog hydrated. Parvo is an infection that causes diarrhea and vomiting, both of which can lead to severe dehydration. A dog may not want to eat or drink but you should force feed water. To cure this infection you need to create a solution. In a one liter bottle fill one cup of water and fill up the rest using Pedialyte that contains zinc. Also add 1 activated charcoal tablet after you have crushed it well. Now using a syringe feed 10 ml doses of this solution to your dog. It is necessary to administer 10 ml doses every 15 minutes. If your dog shows signs of improvement within 4 hours administer 10 ml doses every 30 minutes. Recovery will become apparent within 8 hours after which you should feed boiled rice and broth to your dog. This diet should be continued for 3 days after which soft food should be fed. After the infection is cured disinfect the floor and all other objects your dog came into contact with as parvo is extremely contagious and the infection may reoccur. It is possible to rectify parvo by using some effective home remedies, although some conditions require professional medical treatment. These medication is capable of curing your dog with a few doses. Below, you will learn more about the best ways to treat parvo from your home. Although there are many excellent products out there that can help, a handful of helpful products should not be ignored. Pepto Bismol, which is frequently used by humans, can also help dogs! This medication is safe and effective. By administering the medication to your dog, you can help them overcome the diarrhea and their upset stomach. Electrolytes supplements is another excellent option which will prevent them dehydrating. Finally, Colloidal Silver for Dogs is another option. This particular product can be utilized to help your dog overcome an assortment of different ailments. It can also act like an antibiotic. The amount of Colloidal Silver that should be given to your dog will vary based on their weight and overall size. 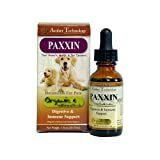 By using one or more of these products it will be possible to remedy your dog’s ailment and allow him or her to get back to a normal life much more rapidly. Chamomile tea is another great herbal remedy that will not only hydrate the puppy, but will also help it relax and sleep. Do not force the puppy to consume the fluids, but instead introduce them to him gradually. If vomiting occurs, just wait for a while, before offering them to him again. Ginger tea also contains digestive properties that are capable of calming the digestive systems. Place about 1 milliliter of ginger tea in a dropper and place it inside of the puppy’s mouth. Do not force him to consume the liquids, because these can cause him to become sick to his tummy. White willow bark contains fever reducing properties, but this herb may be difficult to find. Be sure to check with your local herbal shop or search it on amazon, before giving up on your search. The severe diarrhea and vomiting will lead to dehydration, if untreated. Oatmeal water is a great home remedy that can prevent dehydration, since it contains innumerable nutrients that are required for vitality. Antibiotics are capable of eradicating bacterial infection, which will be necessary for your dog’s vitality. Many puppies will need to be hospitalized and isolated from other animals, so they can be treated appropriately. Of course, many pet owners will find that the treatment expenses are too extensive for them to afford, so they will look cheaper treatment alternatives on amazon. The only prevention for the parvovirus is the 5-in-1 vaccine, which as mentioned about is administered in a 3-part interval, with the last one being administered at 1 year of age. An older canine will receive at least 1 immunization, which will protect them from getting the parvovirus. Our dog was vaccinated and still contracted parvo. We tried the mixture above and after 3 doses he started showing improvement. We gave him 2 more doses at 15 minute intervals, after that we switched to 30 minute intervals. He has continued to improve, we are continuing with this for a full 8 hours. We are still having to force feed water to him but he has ate a little bit of rice and broth. Before we started all of this we gave him 10 ml of pepto. Our baby is a Yorkie who weighs maybe 8 lbs. He has continued to show marked improvement. Thank you for this I will definitely be passing this on to all my pet friends. My puppy all of a sudden starting not eating and not drinking water. This was not like my “Lady” which is a boxer. So I had to take her to the vet and she tested positive for parvo. I immediately starting crying because I know parvo is death… I have dealt with it with prior dogs years ago. However my puppy that is only 5 months old was dying and it broke my freakn heart. I couldn’t afford to keep her at the vet so I chose to take her home and do my best to get her better. The vet did send me home with an IV and some antibiotics shots for three days. On the third day she was still not even trying to drink water. So I went online and reviewed EVERY website to save my puppy. I started giving her Pepto and Pedialyte with a syringe. On the fourth day she licked my face and MAN I was so happy because that was a huge sign of improvement. I then put a little bit of water in her water bowl, that I had disinfected with CLOROX, and she drank it. I was so happy. It is very important to keep your dog hydrated during this terrible sickness they come across. It works as long as you are consistant and giving them pedialyte every hour like I did they will and can get better. My puppy is back to normal and storming throw the house like a puppy should. I told myself I would write as many reviews as I can if I got through this with my puppy so here it is. KEEP YOUR DOG HYDRATED, GIVE THEM PEPTO. I gave her 1/2 a teaspoon every half hour. It works! I have already lost 3 out of 6 Rottweiler pups. Remaining 3 are also showing signs of Parvo Virus. I have just chanced on this through my research. And although some of the ingredients mentioned are hard to find i am going to try this remedy out for the remaining 3 pups. I can get Pepto Bismol, I have managed to find Activated Charcoal but no Pedialyte. I will use an alternative ORS solution available here in Ghana West Africa. In the mean time i am adding as much Colloidal Silver Solution to their water as i can. Might help with killing toxins as i go get the ingredients for the cure stated here. So i will inform everyone here if it works. My dog is suffering from parvo.he didnt eat anything.he just drink water . Nd doing potty and vomit some times.i did not get better result from doctor side.please tell me what should i do. I have a lovely puppy named Buto and he was sick for more than 3 days. I worried about his health and took it to the veterinary hospital. The doctor told me that it was affected by the parvo virus which produces the life threatening illness to the dogs. In order to get my puppy out of this viral infection, the veterinary doctor suggested me to get the vaccination treatments for certain period. Do you love your dog? You must take much care in the health of your puppy. When it is the grown dog, there is only a lesser chance to get affected by the parvo virus. If you have a puppy, it is highly necessary to be careful at all. As I am in the veterinary medical field for more than 7 years, I suggest you to take proper vaccination treatment immediately to save the life of your pet by eliminating the parvo infection. I took my dog to the veterinary doctor for the parvo disease treatment. First in the beginning stage of treatment, the doctor provided the isolation treatment to maintain my dog in the separate cage. Then, he gave dehydration, antibiotics, antinausea and other treatments to completely cure the infection. Now, I have the same puppy with the healthy body. I really thank to that veterinary doctor. Hi I gave my dog pepto for vomiting and Pedia lite for fluids with a syringe. The big thing is amoxicillian for the secondary infection it is a MUST. teaspoon pepto every two hours and a small dropper of Pedia lite like every 15 to thirty minutes around the clock. Hi, my name is Liza, I have a 7 almost 8 week old puppy suffering from parvo and giardia right now. I would really like to try the charcoal remedy but she’s on her 4th day with the virrus, very weak and skinny I would not want to cause her more problems. Any advice??? What about colloidal silver, and or the Parvaid and the Vibactra? I am treating the giardia with Panacur. A puppy with parvo will not keep anything down you put into his stomach. The exceptions usually have been pepto bismol and later, when tolerated, some peanut butter. First on the list is to supply Electrolytes sub cutaneously Ive forgotten how much but it was quite frequently. In 1989 I had to perform this on 3 litters of dogs ( at later times cause the virus was still in the house for a year or so. When all was done had a 50% survival rate. Good remedies but the only prevention is the vaccine before the disease steps in-when the virus has progressed too far most vets do not administer the Parvo shot as it weakens the puppy. The best way to help an ailing puppy is to keep him/her hydrated with electrolyte solutions (atleast 400 ml in 3 hours), by feeding it through a syringe and followed by a saline drip solution administered by a vet. The vet might sometimes add vitamins in the drip to help the puppy. Protein should be avoided initially and that includes gas producing food such as milk and meat.A very soupy or thin porridge made of soft cooked rice and water to which a pinch of sugar has been added (for energy), also helps and should be given at intervals taking care the pup doesn’t throw up.If it does,continue with the electrolyte water and give the food a bit later. The pup should be kept warm and given lots of attention and love-that is the best cure for he/she gets the much required strength and hope at such a time.